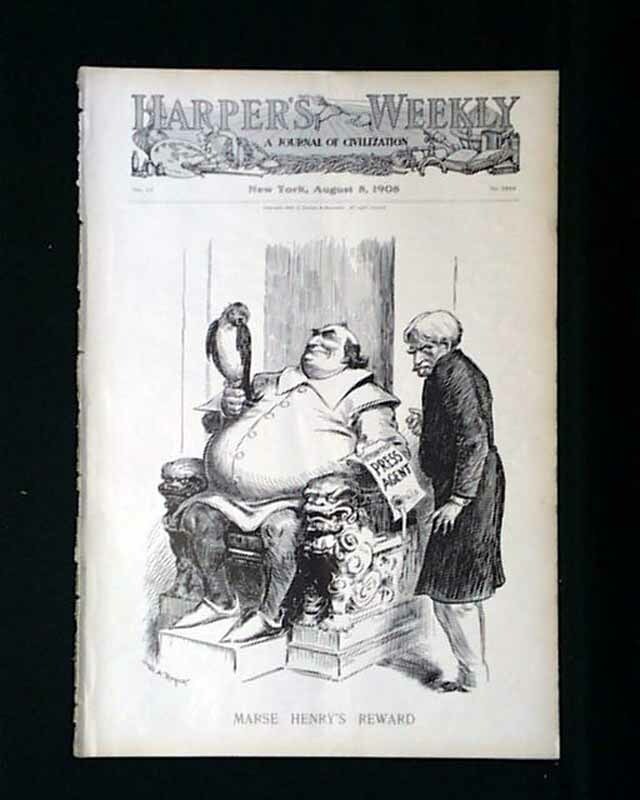 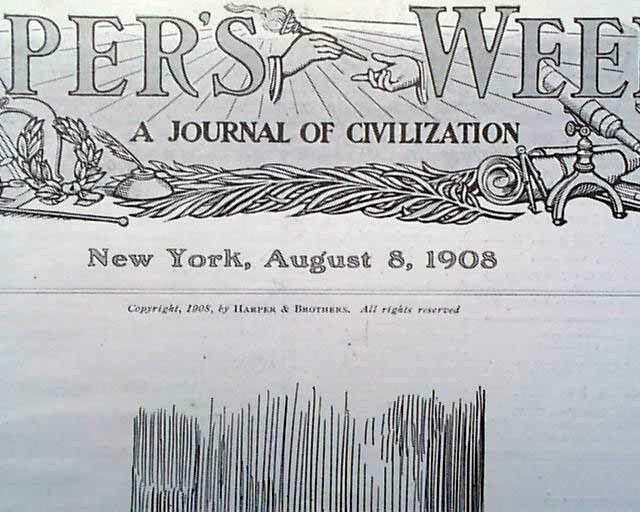 HARPER'S WEEKLY, New York, August 8, 1908 The front page of this issue has an illustration by W. A. Rogers called "Marse Henry's Reward." 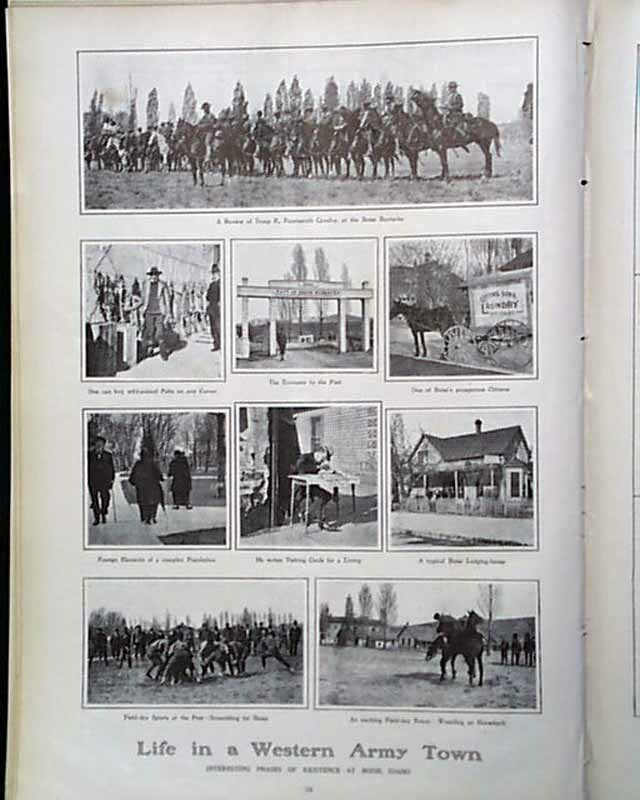 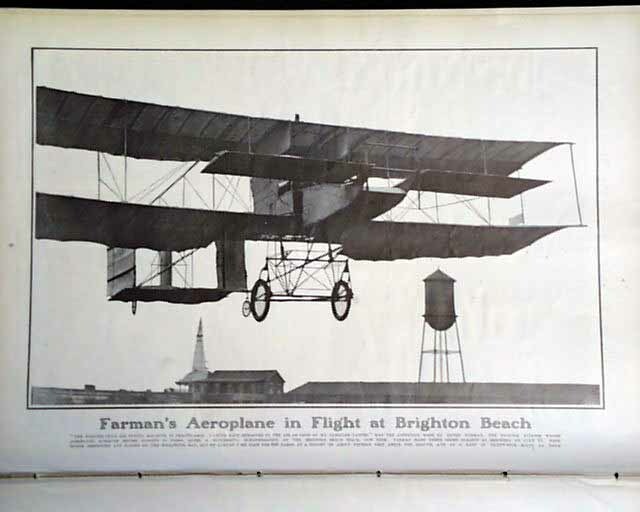 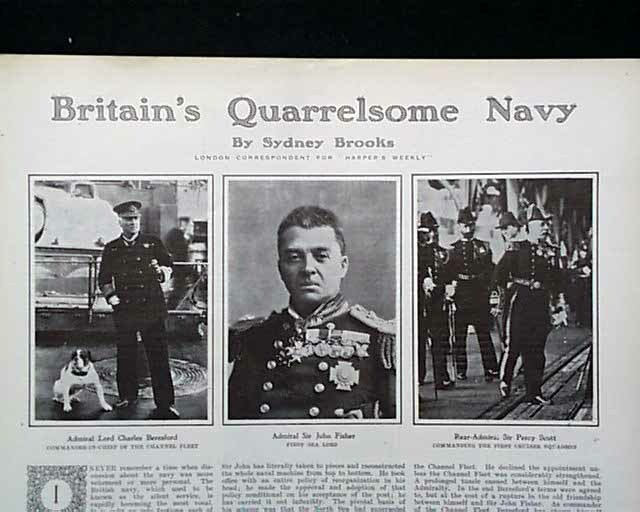 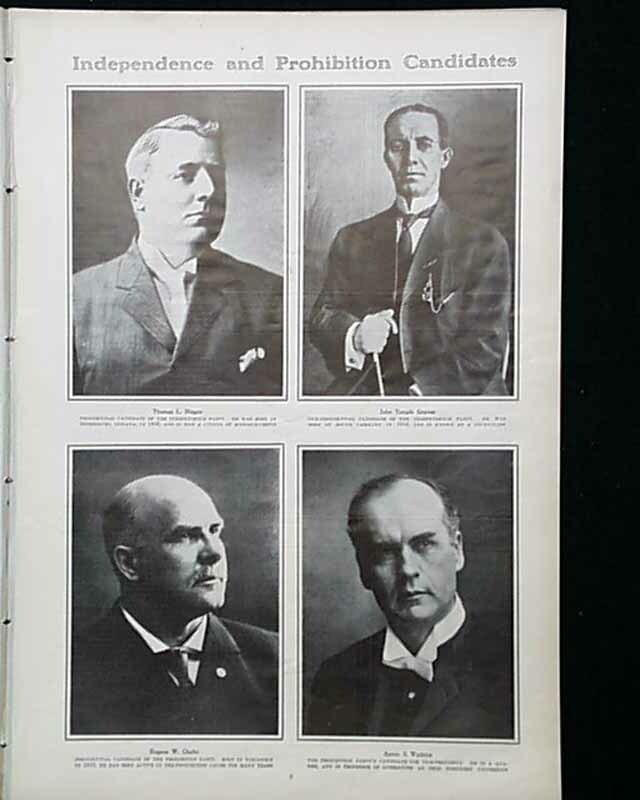 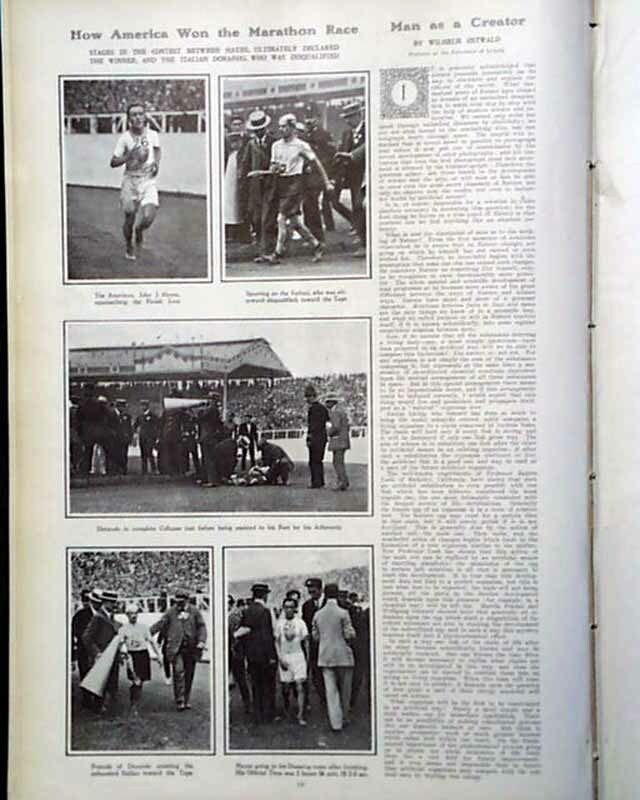 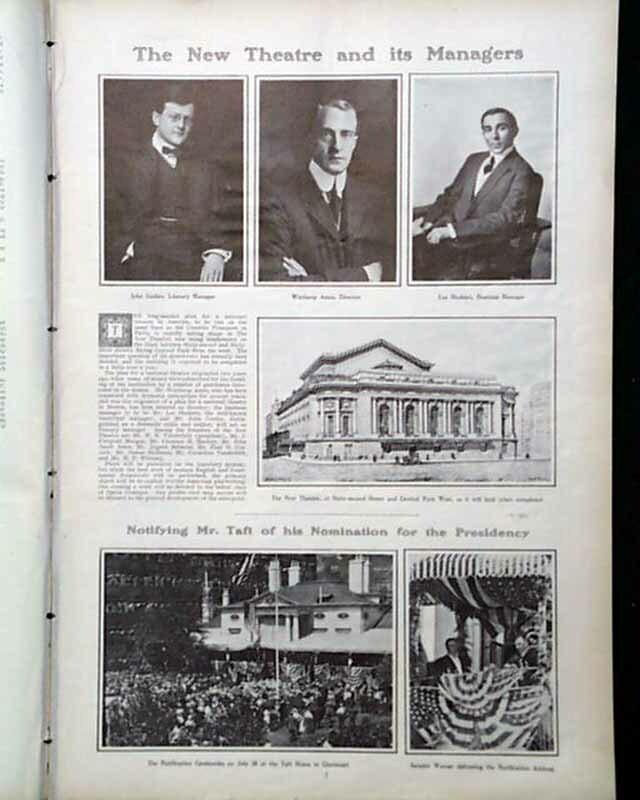 Photos in this issue include "The New Theatre and its Managers"; Notifying Mr. Taft of his Nomination for the Presidency"; Farman's Aeroplane in Flight at Brighton Beach"; "Independence and Prohibition Candidates"; "How America Won the Marathon Race" and "Life in a Western Army Town." 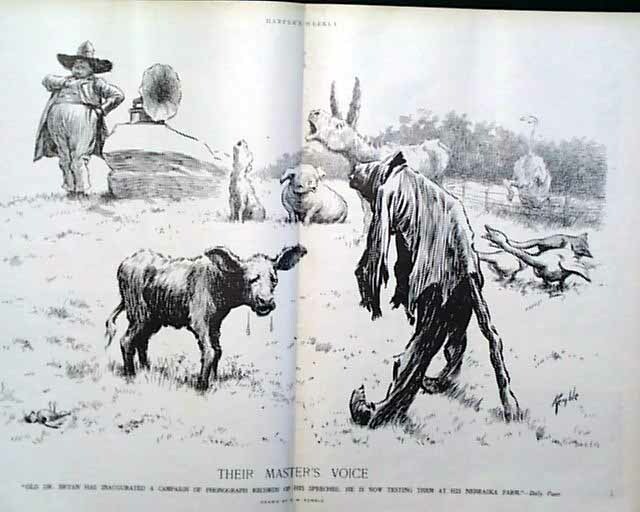 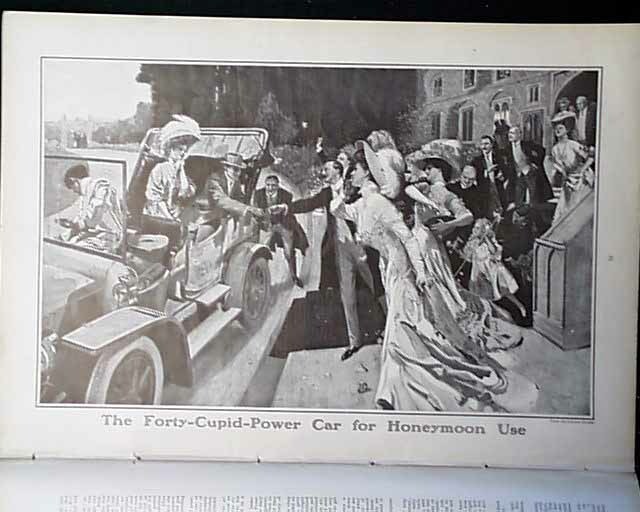 There are also illustrations including one called "The Forty-Cupid-Power Car for Honeymoon Use" and a double page illustration by Kemble called "Their Master's Voice." 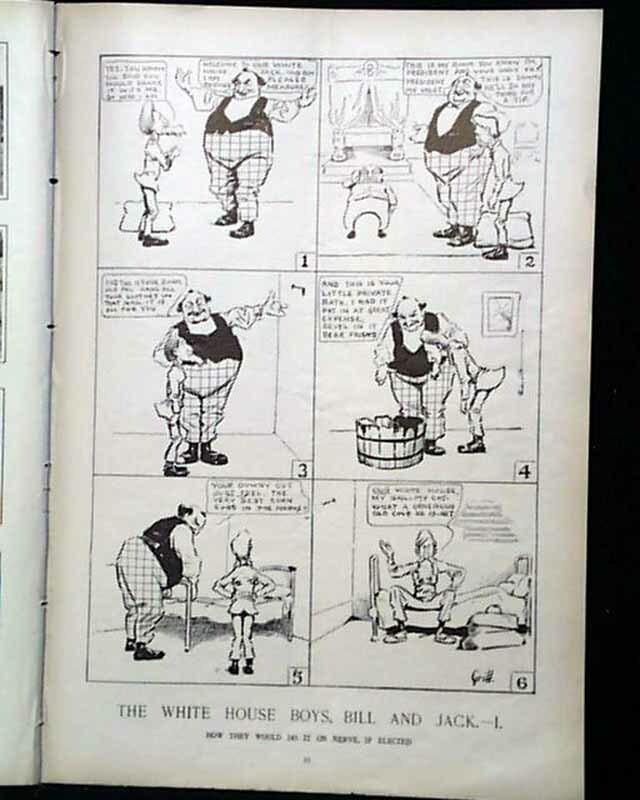 There is also the first comic in a series of comics called "The White House Boys, Bill and Jack" by Grill.